Mighty Pest Control range of residential pest control services ensure your home remains safe and healthy. No one wants to have a pest problem. These pests cause inconvenience, embarrassment and also can pose serious health risks to adults, children, and pets. Structurally these pests can cause serious damage to your home. 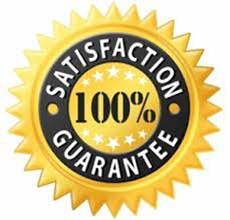 With over 5 years of experience we here at Mighty Pest Control recognize the seriousness of your pest problem and offer you several prompt solutions. We provide residential pest solutions for various household pets including ants, bedbugs, fleas, mice, rats, spiders, and many other pests. We have the trained professionals to deliver solutions for detecting, managing, destroying and preventing pest problems. At Mighty Pest Control we try to find the best balance between your pest problems and your budget. 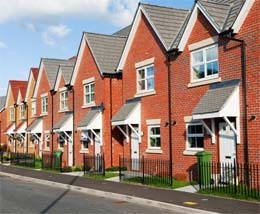 Whether you live in an apartment, one story or two story home, we are ready and able to meet your pest control needs. 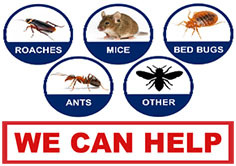 Give us a call and have us set up a pest control program that will suit your needs. When you call us, you will speak with one of our trained technicians who will be able to fully explain the process to removal and prevention of reinfestation of your pest problem. Our knowledgeable staff with years of real in-the-field experience will be able to answer your questions and help you to better understand how we are dealing with your problem. 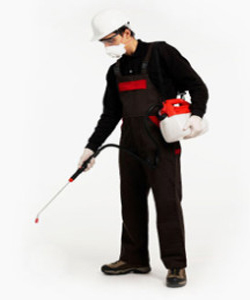 Mighty Pest Control provides commercial pest control services to businesses including Hotels, Retail, Offices, Warehouses, and Restaurants..
Every business has unique requirements, no matter what business you are in. Our experts are ready to face any challenge. 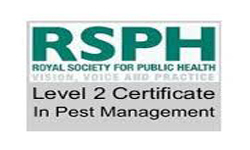 We designed a customized pest management program according to your needs. Here at Mighty Pest Control, we understand that when you have a pest infestation, it’s more than just an annoyance. Rodents, Rat, Mice, cockroaches, spiders, ants, wasps, fleas and many more all of these pests can cost your business time, money, employees’ health, and even your good reputation. We know that these issues must be solved quickly in order to prevent losses. Call Mighty Pest Experts today for a free evaluation of your commercial building and facilities. Perhaps no industry is more greatly affected by pest infestations than the food industry. Your customers count on you to provide them with quality food that won’t get them sick. All it takes is one instance of rodent droppings in your restaurant or hear that you have a cockroach problem, to devastate your business’ reputation and cost you thousands in lost customers. Even worse, you could end up with a health inspection violation. The Greater London area certainly has its fair share of food industry pest problems, but luckily for you, We are here to help! Having a pest problem in your restaurant isn’t a statement on the quality of your food or the cleanliness of your restaurant. Swiftly handling any pest issues that arise in a safe and healthy manner is the key to maintaining your establishment’s reputation for being health-conscious and producing quality food. If you suspect a pest problem in your restaurant, call us immediately to assess the situation. A qualified pest control company, such as Mighty Pest Control, will complete a thorough pest inspection to determine if there are pests on the premises and deliver an action plan to combat the problem and prevent future pest infestations from occurring. Office buildings are like a second home for most employees, maintaining a healthy work environment is critical for business operations. 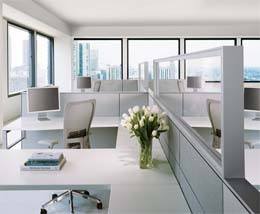 There are several aspects of an office that can attract pests. Washrooms, staff kitchen, wall panels, maintenance rooms, etc. When a problem like this comes up, call us for instant removal of insect or rodent pests. 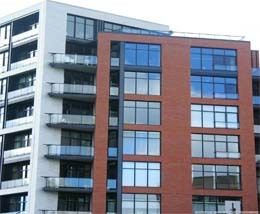 Office buildings often become a target for a variety of different pests. There are a number of reasons why common pests choose to inhabit office buildings. Multi-storey buildings can have hundreds or thousands of employees who come and go frequently. Food and beverages are brought in and lunches are eaten at desks. 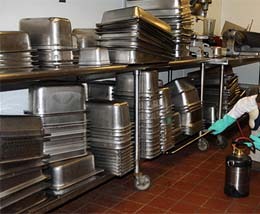 Kitchen or lunchroom areas where employees break are also a common target as accidentally spilled crumbs or piling dishes can attract pests. Because of the large area that needs to be treated in an office building infestation, and the uncertainty about who is responsible for handling office pest control, these types of pest control problems can get out of hand quickly. If you have reason to believe that there are signs of a pest infestation in your office building, take immediate action and contact a commercial pest control service. A professional pest control service will conduct a thorough investigation and inspect all areas where pests may be present in your office. Hotels, motels, bed and breakfasts and other overnight accommodations are often a target for pests. The large volume of people who come through your doors each month, and the abundance of food served in onsite restaurants and through room service make your location an ideal target for hungry pests looking for an easy meal. Travellers are especially susceptible to coming into contact with pests such as bed bugs and cockroaches, especially if they have recently visited tropical or warm areas where these pests thrive year round. Pests (such as bed bugs) can also stowaway on travellers’ luggage. This means they can sneak into even the cleanest hotels without any forewarning. If you suspect that your hotel or place of accommodation is the target of a pest infestation, handling the situation immediately is a must in order to prevent the pest problem from spreading. If a guest or any of your staff report a situation, it is imperative that you can a pest removal company that specializes in hotel pest control immediately.